As a cancer survivor, it has been difficult, with a compromised immune system to be around sick people or to even go to nail salons, because of the higher risk of becoming sick. 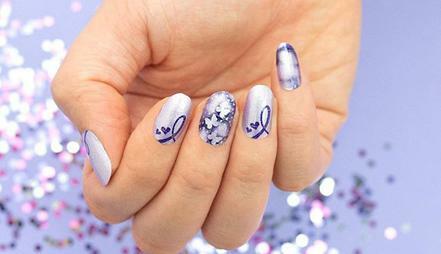 But I found something that can help survivors to enjoy themselves, by using safe and beautiful nail strips. Easy to apply, beautiful and affordable. It can also be a great opportunity to have extra income while on chemotherapy. The opportunity to work from home is what is most needed while going through cancer. The look good, feel good philosophy has its value with nail strips. The first thing you want to do is look at the first video, and you will be amazed at this innovated way to have beautiful nails. This venture is another way to support "Help Through Cancer" ministry. Providing gift bags and cards to those in treatment. They bring women the fun and glamour of an endless array of nail styles, in stunning shades like New York Minute, Southwest Dream, Tokyo Lights, and Hollywood Kiss. With exclusive nail art designs, glitters, solids, and even French manicures, we have the most brilliant nail collections ever for whatever the mood or occasion—from fun to formal, elegant to edgy. Our 100% nail polish strips provide base, color, and top coat in every strip with the bonus of no drying time!